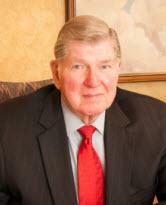 Evansville native, Ole J. Olsen, Jr., began practicing law after being admitted to practice before the Supreme Court of the State of Indiana (1961). Mr. Olsen has also been admitted to practice before the United States District Court for the Southern District of Indiana (1961) and the Supreme Court of the United States of America (1974). Mr. Olsen, having graduated from the University of Evansville with a BS in Accounting in 1958, and Vanderbilt University's Law School in 1961, is now senior partner at Olsen & White, LLP, where he has spent his professional life representing both individuals and small businesses. Mr. Olsen still handles all manner of legal problems, but spends most of his time preparing estate planning documents, such as wills and trusts; advising clients regarding the administration of estates and trusts; and, representing clients in family law and business matters.